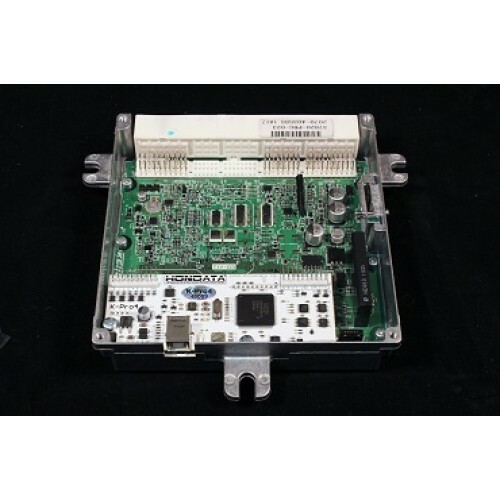 Hondata makes hardware modifications to the 2002-2004 ECU enable it to work with the different sensors and actuators found on the 2005-2006 ECU. After these modifications the ECU will not function correctly on a 2002-2004 RSX. 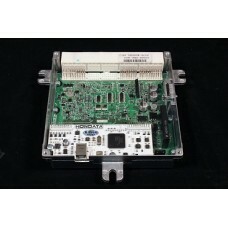 Hondata only sells adapter harness with the modified ECU. 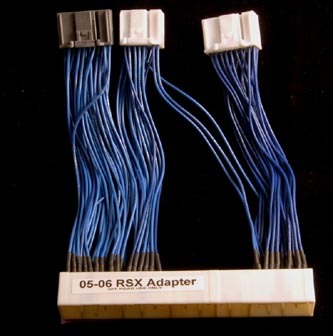 An unmodified 02-04 ECU with adapter harness (with or without KPro) will not work on a 05-06 RSX without the internal ECU modifications performed by Hondata. Within USA this product is legal only for racing vehicles which may never be used upon a highway. 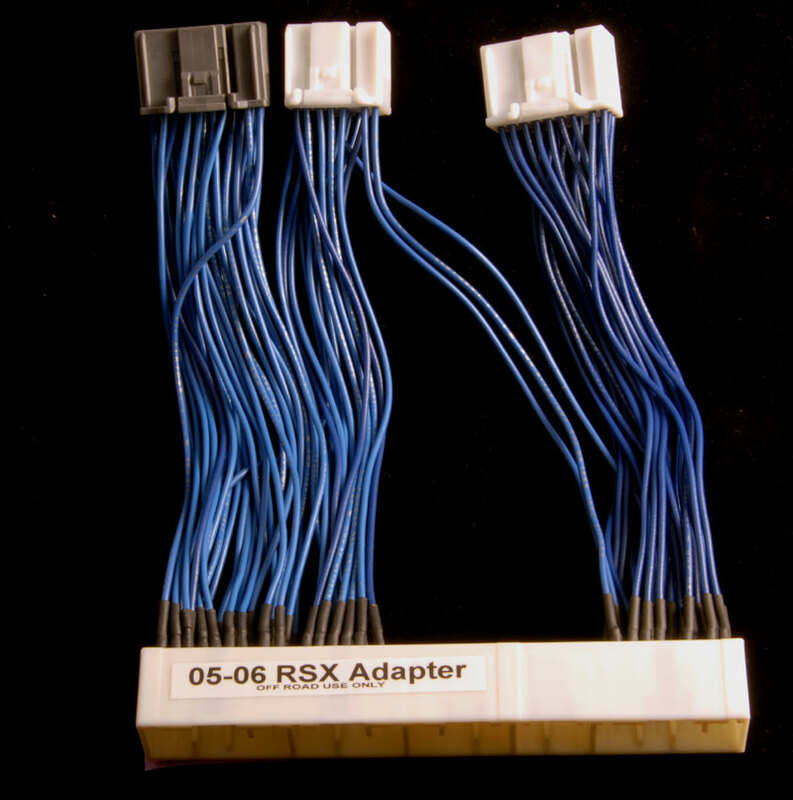 An primary oxygen sensor from the 02-04 RSX or 02-05 Civic Si must be used. The 05-06 RSX O2 sensor will not work. Some sensors must be disabled to eliminate errors generated by the ECU. Which Donor ECU can I use? Only the following ECUs can be used. These are the only harnesses that are guaranteed to work with the 05/06 K-Pro. These adapter harnesses are sold only with an 05-06 RSX-K-Pro. 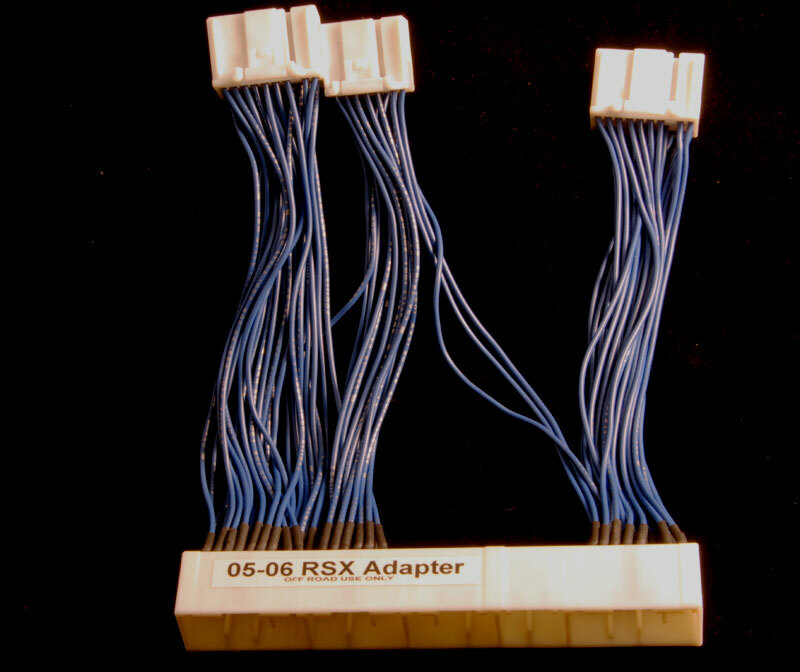 If you are are having problems you may have a counterfeit adapter harness. To verify if you have a genuine adapter harness, contact Hondata with the serial number of your K-Pro. The 05 ECU was replaced with a jumper harness and 04 ECU with K-Pro and then tuned. In the example below the 05 RSX was equipped with a cold air intake. The only change was from stock ECU (yellow line) to K-Pro + tuning (blue line). This engine responds better to tuning than the K20A2, probably due to the better cams and the fact that the stock ECU runs so rich at the top end. A race header, with tuning will provide a significant increase in the mid range and top end torque. We have cross referenced the 05 RSX intake and exhaust camshaft part numbers with those available for Japanese ITR. This is because there have been three revisions of the engine.